Axl Rose and AC/DC rocked the Nationwide Arena in Columbus, OH on September 4 and video from the show has surfaced online. The fourth stop of the band’s rescheduled Rock Or Bust US tour dates saw the band deliver its standard 24-song set of classics from both the Bon Scott and Brian Johnson eras, with tunes dating back as far as 1975. The 10-date run features makeup dates that were originally postponed after Johnson was sidelined in March on the advice of doctors due to hearing loss issues. 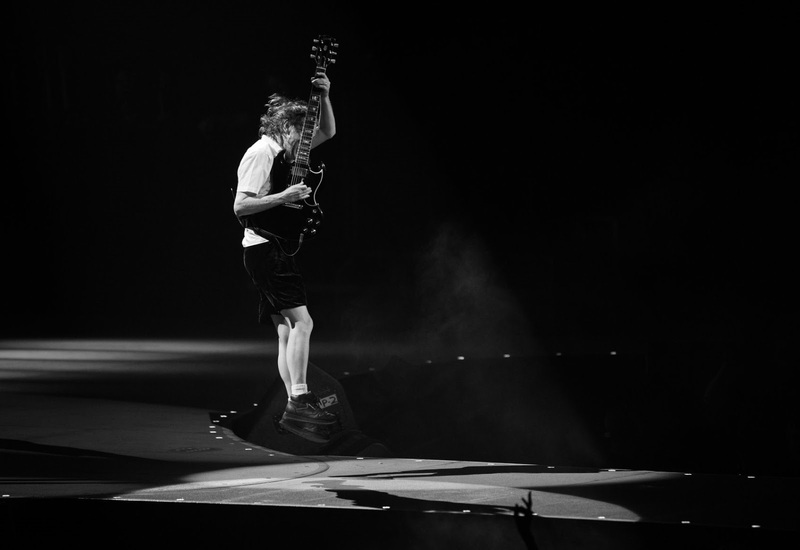 Rose fronted the group through a spring tour of Europe as he juggles his 2016 schedule between AC/DC and Guns N’ Roses. Opening night of the fall AC/DC shows in Greensboro, NC on August 27 came just five days after Rose completed a summer stadium tour of North America with Guns N’ Roses at Qualcomm Stadium in San Diego, CA on August 22. Axl Rose and AC/DC will next perform at the Quicken Loans Arena in Cleveland, OH on September 6.